The first thought when people think of an auto accident injury may not be headaches and migraines, but unfortunately, both occur quite frequently after a car accident. Fortunately, our chiropractor at Cornerstone Chiropractic in Everett, WA can diagnose and treat accident related headaches as well as other injuries sustained during a car accident. Post-Concussive - originating from the brain, directly related to a concussion, these are often migraine headaches. Symptoms of a migraine include nausea, sensitivity of the senses, including light, sound, scents, and movement. They also contribute to excessive stress levels and confusion related issues. Fracture Headache -A fracture in the skull or next of causes intense headaches in the back of the head or neck. Fractured bone may also contribute to brain injuries. Whiplash - Whiplash is among the most recognized car accident injuries and is caused by the head jerking back and forth very fast. Related headaches occur at the base of the skull and include neck pain and stiffness. Pinched Nerve - An occipital neuralgia headache is caused by pinched nerves in the neck or base of the skull. These headaches are not necessarily felt right after the accident and are just one example of an auto accident injury that a chiropractor may be able to diagnose before the patient even feels it. At times these injuries take several days or weeks to present symptoms. Our chiropractor can make sure your injuries are on record, making insurance claims that much easier. Soft Tissue Injury Related - When soft tissue injuries occur, such as from sprains or strains, muscle contractions and spasms may present and result in headaches. Many look to head straight to the emergency room after an auto accident injury, but if injuries are not severe, you should consider starting with a trip to the chiropractor. 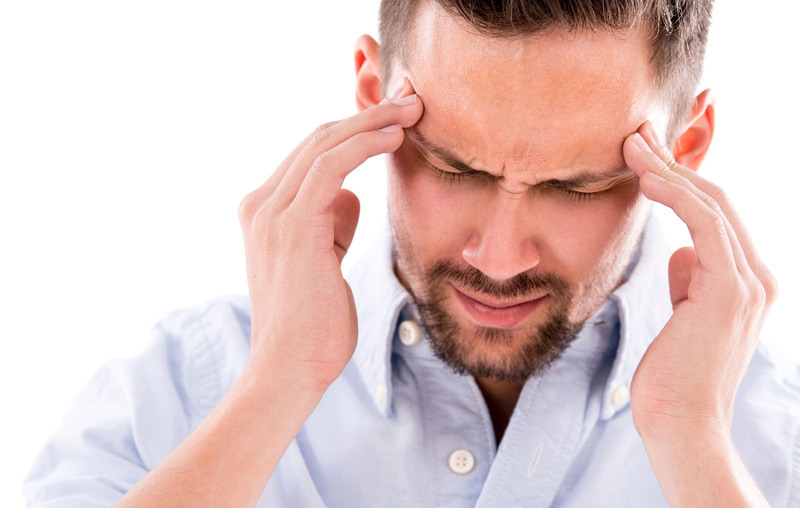 At Cornerstone Chiropractic, we have a knowledgeable staff and a wide range of diagnostic tools that can make the connections between your accident and your injuries, including your headaches. Once those connections are made, we will refer you to other types of doctors or medical professionals if need be, but chances are you will be in the right place for treatment. Patients of chiropractic are active participants in their own recovery, as chiropractors help guide the body's own healing process through spinal manipulation, providing advice and guidance for better posture and ergonomics, and recommending changes in diet that may help as well.